At a global gathering of bike share operators in Madison, Wisconsin yesterday, BCycle announced the bike share industry’s first fully integrated ecosystem that further enhances the bicycle’s role in public transit and that represents the future of bike share. BCycle President Bob Burns introduced a suite of products and software that surround the bike share user and ecosystem during the company’s annual BCycle World conference: BCycle Dash, a new smart bike; BCycle Dash +, an electric assist bike share bike; and a new mobile app that unifies bike share, making it easier than ever to incorporate bike share systems into public transit. BCycle is the first bike share company to integrate bike share with public transit in the U.S.
BCycle Dash is an advanced smart bike that puts the rider at the center of the bike share experience. Unlike other smart bikes, BCycle Dash incorporates elements that firmly establish bike share as a critical component of a city’s transit system offerings. Among its many features, BCycle Dash has the ability to be docked on conventional bike racks, at existing BCycle stations, at its own Dash dock, next to a station if there are no available docks or anywhere a bike can be docked. The bike also includes a head’s up color touchscreen that highlights distance and time traveled, cost spent and calories burned. In addition, BCycle Dash features turn-by-turn directions that route riders to their destinations via a city’s designated bike paths. The directions are clear and easy to read on a moving bicycle – or can be spoken to the rider. Best of all, the bikes can be accessed in multiple ways, including phone, fob keys, metro transit cards and campus identification cards. BCycle Dash + includes all of the same features as BCycle Dash in a fully integrated electric assist bike model. The Dash docks can be upgraded to accommodate the electric bike; the bike has a center mounted motor for balance, control and natural ride; and BCycle Dash + has an integrated lithium ion battery. Linking both of these bikes is a world-class mobile app that allows riders to sign up and pay for rides; instantly release the bike by typing the dock number into a mobile device; find out where they are located and where they want to go. BCycle currently has more than 1,250 stations and 10,200 bikes on the ground in North and South America. All BCycle bikes are designed by Waterloo, Wisconsin-based Trek. To see photos from #BCycleWorld and the BCycle Dash launch, like BCycle on Facebook and follow on Twitter. Las Vegas is the latest city to bring bike share to its community, further enhancing transportation options for residents and the world-class experience for millions of visitors. Over the weekend, the Regional Transportation Commission of Southern Nevada (RTC) and its partners Bicycle Transit Systems (Bike Transit) and BCycle launched RTC Bike Share, the valley's first public bike share system in downtown Las Vegas. RTC Bike Share provides a convenient and easy-to-use transportation alternative to short trips in the downtown area where users can check out a bike from one station and return it to another station near their final destination. With 21 stations at popular locations downtown and 180 bikes available 24 hours a day, bike share will provide a new alternative for residents, commuters and tourists to travel. Priced at $4 for a 30-minute ride, $8 for a 24-hour pass and $20 for a 30-day membership, RTC Bike Share is an inexpensive way to make trips that are too long to walk, but too short to drive. As part of the 24-hour pass and 30-day membership, users can check out a bike for 30 minutes at a time, for as many trips as their pass duration allows, without being charged an extra fee. "The RTC Bike Share program demonstrates our progressive approach to multimodal transportation," said Tina Quigley, RTC general manager. "The RTC is committed to promoting cycling as a more sustainable transportation option, and bike share is a fun and convenient way to get people outdoors and see the city." The program complements downtown Las Vegas' dedicated green bike lanes and is the latest addition to the RTC's current cycling initiatives, including the state-of-the-art bike center at the Bonneville Transit Center and hundreds of miles of bike routes throughout the valley. Bicycle Transit Systems will operate RTC Bike Share station maintenance and customer service. "Our team has launched and operated large bike share programs since bike share first began in the U.S., so we've seen a lot and learned a few things," said Alison Cohen, Bike Transit CEO. "Downtown Las Vegas has a unique combination of high transit ridership, a mix of tourists and residents and, of course, great biking weather that makes it ideal for the kinds of short, spontaneous trips that bike share provides. We couldn't be more excited to partner with RTC and BCycle to help make bike share a success in downtown Las Vegas." The Las Vegas system brings the total number of communities with a BCycle system in the United States and South America to 42. BCycle currently has more than 1,250 stations and 10,200 bikes on the ground in North and South America. Las Vegas joins Philadelphia and Los Angeles in using BCycle's 2.0 bikes and stations. The 2.0 next-generation station features an intuitive kiosk and an updated aesthetic design while the 2.0 bicycle is lighter than the first-generation bike. All BCycle bikes are designed by Waterloo, Wisc.-based Trek. "The 2.0 system's proven technology and high-quality aesthetic will complement the high ridership expected of both resident and tourist users in Las Vegas," said BCycle President Bob Burns. "It has been a pleasure working with RTC and Bike Transit to bring bike share to Southern Nevada. We're pleased to welcome Las Vegas into the rapidly growing BCycle family of bike share systems." For more information on RTC Bike Share, visit bikeshare.rtcsnv.com and download the BCycle app in the App Store and Google Play. The RTC is the transit authority, transportation planning organization and regional traffic management agency for Southern Nevada. The RTC's mission is to provide a safe, accessible and efficient regional transportation network that enhances the quality of life for Southern Nevada's residents and visitors. The RTC encourages the use of various transportation modes that help reduce the valley's traffic congestion and improve air quality. For more information about the RTC and its major initiatives such as Southern Nevada Strong, Fuel Revenue Indexing and the Transportation Investment Business Plan, visit rtcsnv.com. Milwaukee (September 19, 2016) – Bublr Bikes, Milwaukee’s bike-share system, opened its first stations outside of Milwaukee over the weekend, with 7 stations containing 75 bikes installed and available in Wauwatosa. The Bublr Bikes network currently has nearly 50 stations and 425 bicycles. The Wauwatosa expansion will be followed by additional station installations in Milwaukee next month. In the coming years, the system plans to expand to over 100 stations and 800 Bublr Bikes in Milwaukee, Wauwatosa, West Allis and Shorewood. Bublr Bikes is actively raising private funds for continued network expansion. By the end of October, the Bublr Bikes network will contain over 55 stations and will be larger than systems found in Milwaukee peer cities including Pittsburgh, Columbus, OH, Nashville, Cincinnati, and Indianapolis. The Bublr Bikes system is a public-private partnership between the City of Milwaukee and Bublr Bikes, with additional support from many other public and private partners. Since Summer 2014, Bublr Bikes, a Milwaukee-based not-for-profit, has launched 40 bike share stations in the City of Milwaukee. Los Angeles has officially joined the bike share revolution. At noon today, hundreds of people who live, work, and play in L.A. converged in Grand Park to launch Metro Bikes, an eagerly anticipated, groundbreaking new bike sharing network that will consist of up to 1,000 shared bicycles at up to 65 stations throughout the downtown area. The $11 million project is the joint product of L.A. Metro and the City of Los Angeles, and is the first pilot effort to establish bike sharing throughout Los Angeles County that could potentially bring up to 4,000 bicycles to communities region-wide. Metro worked closely with the City of Los Angeles to strategically place bike share stations at major transit hubs and key destinations of most benefit to people living, working and playing in the downtown area. Bike share stations are located on both sides of Union Station, L.A. City Hall, Grand Park, the L.A. Convention Center, South Park, Chinatown, the Arts District, the Fashion District, Little Tokyo and other prime spots, most of them within a couple blocks of each other. Many bike share stations are located close to the Metro Rail and Bus network, giving transit riders direct access to Metro Bikes to easily combine bicycle and transit trips. The system is the first in the United States to be operated by a transit agency and the first to use a single fare card, the TAP card, for both the transit system and bike share system. Downtown Los Angeles is the ideal area to launch bike sharing. Downtown is the largest employment center in the county, has an exploding residential population, and is home to ubiquitous and growing transit system. It is also a top tourist destination, with major world-class sports, entertainment, dining, cultural and tourist destinations throughout numerous downtown districts. Metro and the city selected bike share locations that created better access to museums, libraries, schools, retail, employment, and residential areas. To use the bike share system, customers can purchase a monthly or annual flex pass at www.metro.net/bikeshare. New customers will receive their TAP card in the mail. Existing TAP card holders have the option of registering their current TAP card in the system and simply adding bike share access to it. Starting August 1, people will be able to walk up to a bike share station and check out a bike by paying with a credit card. Pass holders will use their Metro bike share-registered TAP card to access any Metro Bike from a dock at a station. Bike share-registered TAP cards identify each user to both Metro bike share and Metro transit lines. As with all TAP cards, transit fares can be loaded onto a bike share-registered TAP card at any Metro ticket vending machine, online at taptogo.net or at any of the hundreds of TAP vending locations across the county. Users can download a special Metro Bike Share App available on iOS and Android that will enable them to buy a pass, check bike and dock availability, and find the nearest station to their location, among other features. A 30-day pass is $20. All trips 30 minutes or less are free and $1.75 per 30 minutes thereafter. This pass option is best if the user expects to take more than five trips per month. People use their registered TAP card to get bikes directly from docks and the pass renews 30 days after initial purchase. A Flex Pass is $40 per year. All trips 30 minutes or less are $1.75 and $1.75 per 30 minutes thereafter. This option is best if users expect to take two to five trips per month or want the convenience of using their TAP card to get a bike directly from the dock. A Walk-Up is $3.50 for 30 minutes. This option will be available starting August 1. All trips 30 minutes or less are $3.50, and $3.50 per 30 minutes thereafter. An introductory 50 percent discount rate will be offered in August-September. This option is best for tourists and visitors to downtown LA. Users can pay per trip using their credit card at any station kiosk. No TAP card is needed for the Walk-Up. Metro has ensured the system is equitable for all users. The agency distributed 40,000 Annual Flex Pass coupons for Metro Rider Relief participants to try the system at a low cost. The program also has grant funding for Metro partners to conduct outreach to disadvantaged communities and to measure equity as the system grows. The program is planned to expand to many other communities within L.A. County including Pasadena, North Hollywood, Burbank, Huntington Park, Venice, Marina Del Rey, East L.A., and San Gabriel Valley to create a regionwide system of more than 4,000 bicycles pending board approval. Bublr Bikes, Milwaukee’s bike share system, saw a record number of trips this past weekend. Over 2,100 trips were recorded during the Friday-Saturday-Sunday weekend which is more than 1,000 trips higher than the previous three-day record. Bublr Bikes offers the lowest cost of entry, for walk-up customers, of any bike share system in the country at $3 for a 30 min. Single Ride. Bublr Bikes also offers one of the country’s only Pay as You Go passes which discounts the walk-up price down to $2/30 mins. Over 75% of this past weekend’s riders were either Single Ride or Pay as You Go customers. 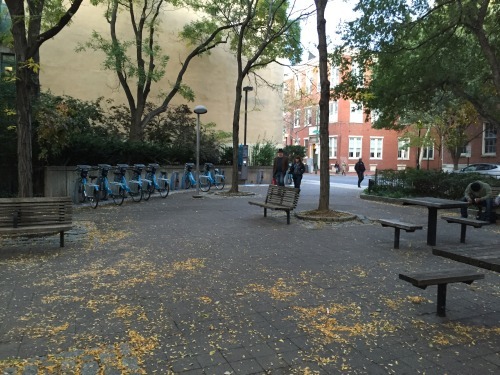 A Single Ride is purchased at any Bublr Bikes station using a valid credit. Bublr Passes, including the Pay As You Go pass, are purchased online at http://bublrbikes.com/pricing/. To mark this important usage record and to thank its riders, Bublr is offering UNLIMITED 30-min Bublr rides on Tuesday, July 5th, 2016. To redeem a FREE Bublr Bikes ride, users enter in code “070516” at any Bublr Bikes station. The code is valid for unlimited FREE 30-minute Bublr rides all day. A ride ends when the Bublr is returned to a Bublr Bikes station. Rides over 30 minutes will cost $3/each additional 30 minutes. A credit card is required to check out a Bublr Bike. Yesterday Bublr Bikes, along with our partners at Boys & Girls Clubs of Greater Milwaukee and DreamBikes, honored the first graduates of our Bike Repair and Maintenance Certification Program. Latrell Turner, Jerome White and Kadeam Wilson, joined by their families, were awarded certificates for completing what is believed to be the country’s first bike-share mechanics certification. Armando Ramirez also earned the certificate but was unable to attend the ceremony due to a conflict in his schedule. The Bike Repair and Maintenance Certification is one-of-a-kind program that provides motivated young adults a 24-week course in bike repair focusing on diagnostics, proper tool uses and ultimately maintenance of bike share bikes. Students begin with an 8-week course at Boys & Girls Club B!KE program learning the basics of bicycle maintenance and tool usage. During this time, a Bublr Bikes representative speaks to the class introducing them to bike share and Bublr Bikes growth plans. Following the Boys & Girls Club’s class, students participate in an 8-week paid internship at DreamBikes where they learn about bike repair, the operations of a bike shop and basics of customer service. During the Boys & Girls Club’s classes and DreamBikes internship, students are given eight opportunities to visit the Bublr Bikes shop and learn more about the bike share system’s operations. Students who attend at least four of the eight sessions are eligible to continue on for an 8 week paid bike mechanics internship at Bublr Bikes. At the conclusion of the 8-week internship, students are given a final exam. The exam tests their knowledge on all aspects of bicycle maintenance with a specific focus on bike share bicycles and equipment. Those who pass are awarded a Bike Repair and Maintenance Certification. A very special thanks to John Fleckenstein. John is committed to better bicycling and to giving Milwaukee youth important hands-on mechanical experience. This program would not be possible without John’s support and John’s leadership. Thank you John! INDIANAPOLIS - Indianapolis Cultural Trail, Inc. today celebrates the second anniversary of the Pacers Bikeshare program and announced the ridership numbers for the second year of operation. Year two milestones include 117,319 trips on the gold bikes which equate to 243,782 miles, or almost 9 times around the globe. Pacers Bikeshare trips increased from year one by almost 10,000 bike rides. Annual Members were responsible for nearly 50% of all of the rides in the second year. Collectively, all of the bikeshare trips in year two resulted in riders burning almost 10 million calories and taking more than 230,000 pounds of carbon dioxide out of the atmosphere. Pacers Bikeshare continues to receive significant corporate support. In it’s second year, the program partnered with OneAmerica to install it’s 27th bikeshare station outside of the OneAmerica Tower. Recent technology upgrades to Pacers Bikeshare make bikeshare even more convenient, enabling riders to check out a bike with a one time code texted to their mobile phones. Later this spring, Pacers Bikeshare will add a new station on the Eskenazi Health campus, making it the 28th station in the system. For more information about NACTO’s Bike Share Program, contact Kate Fillin-Yeh, NACTO Bike Share Program Director, atkate@nacto.org. Waterloo, Wisconsin – Jan. 19, 2016 – BCycle was awarded a contract by the Regional Transportation Commission of Southern Nevada (RTC) to install the city’s first bike share system. This will bring the total number of communities in the United States and South America with a BCycle system to 41. The system is scheduled to open in 2016 with 18 stations and 180 bikes in the downtown Las Vegas area. Las Vegas will be the third system to use BCycle’s 2.0 bikes and stations. The 2.0 next-generation station was launched in Philadelphia, Pennsylvania, in April 2015, and features an intuitive kiosk and an updated aesthetic look. The 2.0 bicycle, which is lighter than the first-generation bike, will debut in Philadelphia and Los Angeles, California, this year. The 2.0 system’s proven technology and high-quality aesthetic will complement the high ridership of both resident and tourist users expected in Las Vegas. BCycle currently has more than 900 stations and 8,000 bikes on the ground. All BCycle bikes are designed by Waterloo, Wisc.-based Trek Bicycle Corporation. The North American Bikeshare Association, working with representatives from the largest bike manufacturers, owners and operators in North America, is happy to announce the adoption of the open data standard for bikeshare. The open data standards will make real-time data feeds publicly available online in a uniform format so that map and transportation based apps such as Google Maps, RideScout and Transit App can easily incorporate this data into their platforms. The open data standard will improve transparency and public access to bikeshare information and allow end users to create integrated software and end user applications. Available data includes station locations, bike and dock availability, pricing information, etc. “With more than fifty bikeshare systems launched in North America since 2010, bikeshare has quickly become an important part of our transportation ecosystem. Establishing an open data standard is an important step to making bikeshare ever more convenient and accessible to the public,” says NABSA representative MitchVars. Under NABSA’s leadership, bikeshare industry leaders including 8D Technologies, PBSC Urban Solutions, Social Bicycles, BCycle, Smoove, and Motivate developed the General Bikeshare Feed Specification (GBFS) over the past year. All have agreed to implement the standard by the end of 2015. “We’re excited by the emergence of GBFS as it will standardize our bikesharing integration process. But we're also pleased because it helps solidifies the importance of open data and the need to create common standards for all types of mobility services. We’re proud to announce that we’re the first app to use GBFS by integrating Social Bicycles in nine cities across North America,” says Jake Scion, Director of Strategy and Development for Transit App. "Social Bicycles is excited to be an early adopter of the new specification and recently performed the first partner integration with Transit App. We look forward to working with more partners to expand access to bikeshare as a local mobility option,” says Ryan Rzepecki, CEO of Social Bicycles. INDIANAPOLIS - Indianapolis Cultural Trail, Inc. today announced another milestone for the Pacers Bikeshare program; 200,000 bike share trips have been taken since the program launched on April 22, 2014. Over 100,000 bike share trips occurred in the past seven months, greatly surpassing the time it took to reach the first 100,000 trips earlier this year. Pacers Bikeshare is accessible year round. The Cultural Trail is cleared of snow and ice making it easy and convenient to use bike share during the winter. INDIANAPOLIS - Indianapolis Cultural Trail, Inc. (ICT, Inc.) today announced that the organization is now incorporating bicycles to balance the Indiana Pacers Bikeshare program. Operations team members will use the trailers, which hold three bikes each, to more efficiently move bikes between the twenty-six stations located along the Indianapolis Cultural Trail: A Legacy of Gene and Marilyn Glick. The bike trailers were custom designed and produced by Indianapolis Fabrications. Indianapolis Fabrications donated one of the bike trailers to the program. Pacers Bikeshare piloted a foot balancing program this summer when ICT, Inc. hosted 12 students from TeenWorks. The TeenWorks students worked in teams to move small numbers of bikes by foot in areas with the highest station density. ICT, Inc. operates the Indiana Pacers Bikeshare Program 250 bikes and 26 stations, primarily located on or near the eight mile Indianapolis Cultural Trail: A Legacy of Gene and Marilyn Glick. The bike share program, which reached 100,000 bike trips in less then a year, started in April 2014. Annual memberships and additional information are available at pacersbikeshare.org. About: Indianapolis Cultural Trail, Inc. ensures that the Indianapolis Cultural Trail: A Legacy of Gene and Marilyn Glick is a beautifully maintained, vibrant community asset connecting people and places in downtown Indianapolis. Faces of Indego: Meet The Philly Member That Pedaled To All 73 Stations In One Day! I live at Seventh and Sansom, a block from Washington Square. I often start at the station at 8th and Market. The stations at 10th and Chestnut, 9th and Arch, and 5th and Market are also close. I wouldn’t object to a station in Washington Square, but I don’t want to sound spoiled. I know most people don’t have stations this close. I moved to Philadelphia from Wichita in March and have been looking for ways to get to know the city. I joined Indego in June and have been using it regularly ever since. I’m a big fan. I have a bike, but I like the convenience of the bike share program. It’s great for short trips. I don’t have to worry about bringing my bike up to my apartment or locking it up, and you guys take care of the maintenance. I’ve been using the Indego map a lot and thought visiting and photographing all the stations would be a fun project. I’m an Instagram novice, but I like the app and am rooting for a bike-friendly Philly. The ride took about eight hours, a little longer than I thought. I was thinking, well, one minute per station would be 73 minutes, but I knew that wasn’t realistic. Five minutes per station would be about six hours. That would be possible. In the end, it took a little extra time because I had never been to most of the stations, and I took some time to explore. I’m excited to get back to the Clark Park farmers’ market for mushrooms. I started about ten-thirty. I wrote out the route the day before. Start close to my apartment, ride out to West Philly, cross the Schuylkill at Spring Garden and get the Art Museum, head to North Philly, wrap around Fishtown, back to Logan Circle, then South Philly, and finish up with the Center City stations near my apartment. I knew where most of those stations were located, so I thought if I could get the first sixty, I know where the last ones are located. During the ride, I used the bike2go app to fine tune the route. And, at the end, I had to stop at my apartment to recharge my phone, which I was using as my camera. Then, I went back out and got the last five stations: 9th and Arch, 12th and Filbert, 6th and Race, 2nd and Market, and Independence Hall. I numbered the photos in the order I took them. I’m thinking maybe someone else can help me with a shorter route. I would definitely do it again. The photos turned out to be kind of a fall Philly valentine. It was a nice day, and I like photos of street scenes, interesting public spaces, brightly colored leaves, murals, the skyline, and blue bikes. Great Rides Bike Share is proud to announce its one hundred thousandth ride! The program, the first of its kind in North Dakota, provides bicycles at stations located throughout downtown Fargo and the North Dakota State University (NDSU) campuses for short station-to-station rentals. The system launched in mid-March with 101 bikes at 11 stations. “Our first year overall ridership levels put us ahead of other successful and much larger bike share programs in communities such as Minneapolis, Denver, and Madison all of which had fewer rides their first season.,” said Cam Knutson, chair of the Great Rides Bike Share Board of Directors. The program’s fast-moving success ties in to new technologies that include NDSU students. “To our knowledge, it is the first program in the nation to integrate a whole university alongside community users,” said Tom Smith, owner of Great Northern Bicycle Co. and steering committee member for the program. New card-reader technology allows NDSU students to use their student ID cards to check out bikes. Over 7,700 students have enrolled their cards for the program. “Great Rides Bike Share has had awesome results since launching and I would rank the usage at the top for bike share systems here in the USA,” said Lee Jones, Director of Sales for BCycle, the Madison-based vendor that provides infrastructure for over two dozen bike sharing systems nationwide. Future plans include continued growth of the program across the NDSU campuses and downtown Fargo, eventually extending across the river into sister city Moorhead, Minnesota. “This program is another example of how our community can rally behind something and make it a much bigger success than anyone could ever have imagined,” said Mike Williams, Fargo City Commissioner and Great Rides Bike Share Board of Directors member. “Current and future bike share operators are taking note of our success, particularly in the integration of student riders. We receive multiple calls each month inquiring about how we did it,” says Sara Watson Curry, Great Rides Director of Operations. Coincident to the milestone, the program will expand two of the most popular stations to better accommodate riders. This week, technicians will double the number of docks at the Memorial Union Station and add several additional docks at High Rise Complex Station, both on NDSU main campus, to accommodate more bikes. Each bike in the system, which receives regular inspection by professional mechanics, has been ridden an average of 1,000 times, said Watson Curry. Great Rides Bike Share is a program managed by Great Rides Fargo, a 501(c)(3) non-profit organization dedicated to building healthy individuals and communities by encouraging the use of bicycles for lifestyle, sport, and recreation. Great Rides Bike Share is the first technology driven bike share system in North Dakota. Demonstration bikeshare kiosks available to check out soon! Thursday, July 30, from 5 p.m. to 9 p.m. at the Arts District Farmers Market, Traction and E. Third Street (Joel Bloom Square Triangle). Sunday, August 9, 9 a.m. to 4 p.m at the Metro Booth at the downtown Culver City Hub at CicLAvia: Culver City Meets Venice. So come see how you can use a TAP card to check out a bike! Some quick background: The Metro Board of Directors in June approved an $11-million contract to Bicycle Transit Systems (BTS) and their partners (B-Cycle, Ridescout, Tool Design Group and BikeHub) to run the countywide bikeshare program that Metro is overseeing. The bikeshare program is set to begin in downtown L.A. with other communities around the county to follow. Metro is currently working on a fare structure and other details. Stay tuned! The launch will follow an extensive public outreach process that will give local residents, business owners and other stakeholders the opportunity participate in the planning of the county’s newest form of transportation. As the community input process advances, bicycles will be available for short-term hire at a wealth of downtown locations such as Union Station, L.A. Convention Center, Staples Center, Grand Park/Music Center, 7thStreet/Metro Center , Grand Central Market, Pershing Square, the Arts District, the future Figueroa Cycle Track corridor, University of Southern California area and numerous attractions. WATERLOO, Wis., May 19, 2015 (GLOBE NEWSWIRE) -- BCycle, which develops and delivers best-in-class bike share systems worldwide, launched its third system in two months with the recent introduction of Dayton, Ohio's Link bike share system. Dayton joins Philadelphia, Penn. — BCycle's largest system launch to date — and Fargo, N.D., bringing the total number of communities in the United States and South America with a BCycle system to 41. Dayton's bike share system, called Link, is the newest BCycle system, and opened with 225 bikes and 24 stations. The system sold more than 140 memberships prior to launching and riders have made at least 1,500 trips since the launch. Link gives riders the opportunity to buy a daily pass or an annual membership. "We're pleased that the three newest BCycle bike share systems are off to anexceptional start. The high usage and membership redemption rates demonstrate that our enterprise software and proven hardware are performing well," said BCycle President Bob Burns. "It has been rewarding to work with these new cities — Dayton, Philadelphia and Fargo — to meet each system's unique needs, and we're excited to welcome all three of these cities into the rapidly growing BCycle family of bike share systems." Philadelphia is the single largest bike share launch in BCycle's history. Its system, called Indego, is the first to receive BCycle's 2.0 stations. These next-generation stations feature a more advanced solar powered system and an updated aesthetic, and maintain the features, benefits and reliability of the first-generation product. Now, nearly a month after its launch, Indego has approximately 2,800 monthly members and more than 33,000 rides have been taken. 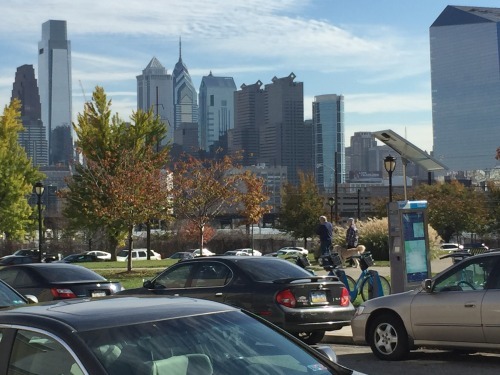 Indego has implemented an innovative cash option, PayNearMe, putting Philadelphia on the forefront of bike share systems focused on social equity. In Fargo, BCycle developed new, innovative MFRID technology for Great Rides Bike Share, a collaboration between the city of Fargo and North Dakota State University (NDSU), to allow NDSU students to use their Bison Card student IDs to access the system through their online student portal. Great Rides Bike Share is the first and only bike share program in the United States to be funded through university student fees. The system, which includes 101 bicycles throughout 11 station locations, has already experienced unprecedented and record-setting usage in the past two months, including more than 40,000 checkouts and 5,700 users, which include nearly 5,100 students. BCycle currently has more than 700 stations and 7,800 bikes on the ground. All BCycle bikes are designed by Waterloo, Wisc.-based Trek. The Link Dayton Bike Share launched May 5, 2015. Link is Dayton's bike share program. Use Link for short trips around downtown Dayton. Link is provided by Bike Miami Valley and RTA. Learn more: http://www.linkdayton.org. Dayton, May 5, 2015 – Link partners, founding sponsors and staff opened Dayton’s bike share system today for with an inaugural ride lead by Mayor Nan Whaley. The Mayor led a fleet of riders from Courthouse Square in the afternoon to fill surrounding downtown stations with bikes while hundreds of onlookers joined in the festivities. Link is the 31st bike share system in the country. The system has 24 stations and a fleet of over 200 bikes. Users will be able to purchase 24-Hour Memberships for $5 at station kiosks or a variety of other memberships online including a $65 Annual Membership. Link is run in partnership by Bike Miami Valley and Greater Dayton RTA. Executive Director Mark Donaghy of Greater Dayton RTA also spoke and announced the completion of the storefront at Third and Main and the incorporation of Link into the company wellness program. For more information about Link, visit www.linkdayton.org.